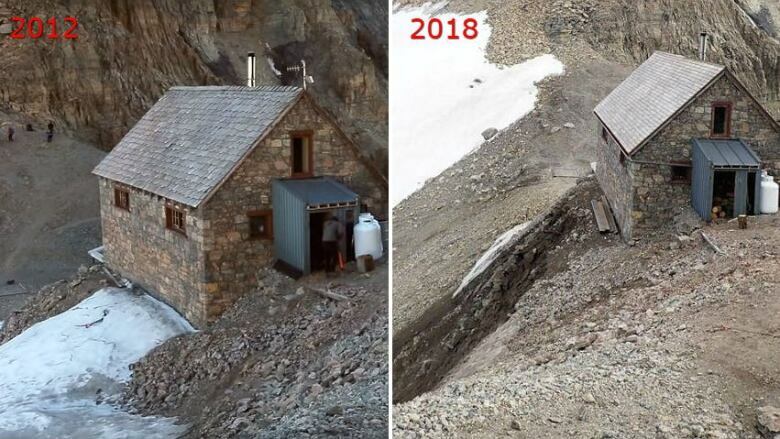 For the past 96 years, Abbot Pass Hut has stood perched on a narrow mountain col that forms the border between Alberta and British Columbia, but concerns about erosion have now closed the remote alpine shelter indefinitely. The hut is a national historic site and, at an elevation of 2,925 metres, it's the second-highest permanently habitable structure in Canada. 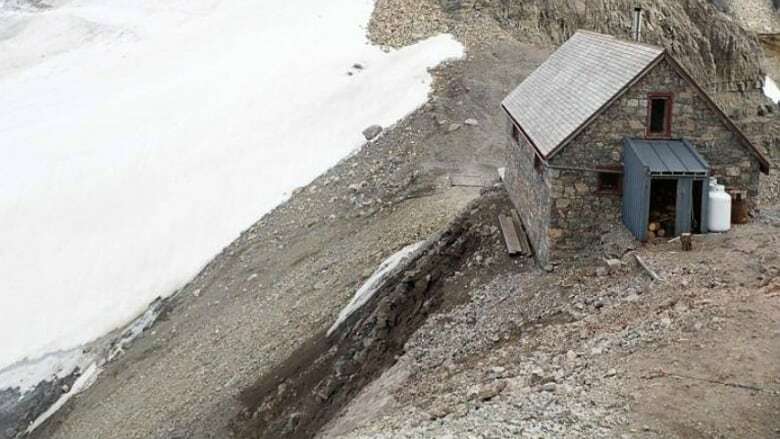 It can normally be booked for overnight accommodations through the Alpine Club of Canada but is now closed to the public, due to concerns about eroding terrain near the base of the structure. "We don't anticipate losing the hut," said Rick Gardiner, the club's facilities director. "But it is certainly something that has to be addressed quite quickly." Parks Canada and the Alpine Club of Canada decided on Thursday afternoon the hut should be closed for the sake of public safety. The hut sleeps up to 24 people at once and Gardiner said it's nearly fully booked from July to mid-September each year, mostly by mountaineers and advanced hikers. It will remain closed until the erosion can be addressed. "Public safety is paramount," he said. Parks Canada plans to send geotechnical engineers to Abbot Pass early next week to evaluate the hut. 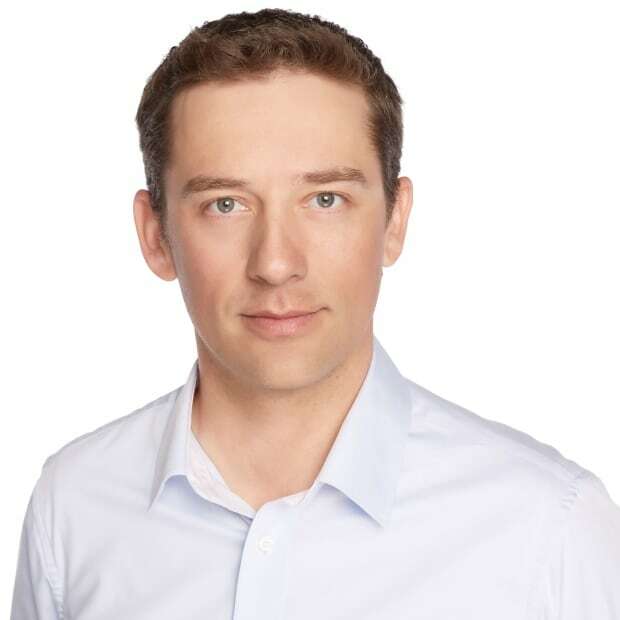 "We take the preservation of this site very, very seriously," said Alex Kolesch, manager of land use policy and planning with the Lake Louise, Yoho and Kootenay field unit. He said engineers will "evaluate the slope stability and any threat to the infrastructure" and "explore all the feasible options" to protect the site. Kate Hurley visited the hut last week and took a photo that has since been circulating in the local mountaineering community. It depicts what appears to be a significant amount of erosion near the base of the hut, on the Alberta side of the pass. It was Hurley's first visit to Abbot Pass, and while she remembers some rocks falling as she was out gathering water on that side of the hut, she didn't realize until she got back down just how much of the terrain had actually tumbled away. "It was pretty apparent in the photo," she said. "I didn't really connect the dots when I was still up there, because I was too busy taking in all the alpine environment up there." Her photo was posted to a Facebook group where it generated discussion from past visitors to the hut and comparisons to photos from previous years, in which less erosion is apparent. Gardiner said the hut was built in 1922 by members of the Alpine Club of Canada and CP Rail. Parks Canada operated the facility until the club took it over in 1985. It is named after Philip Stanley Abbot, who died from a fall during the first known attempt to reach the summit of nearby Mount Lefroy. The structure was constructed with stones quarried from the col, itself. Other materials were hauled up to the pass by horse and by hand. 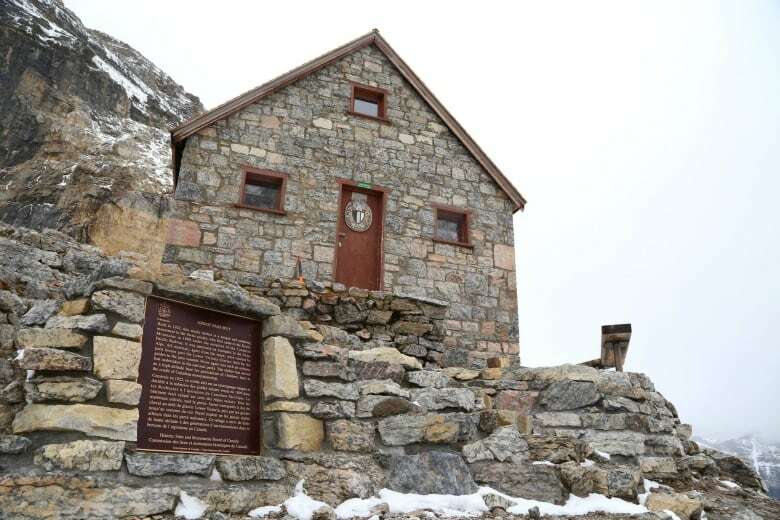 "Never again was such an arduous feat undertaken in the national parks," reads a metal plaque installed at the base of the hut by the Historic Sites and Monuments Board of Canada. "The shelter has served as a high-altitude base for generations of climbers, here in the cradle of Canadian mountaineering." The Alpine Club of Canada says the hut is technically located in two provinces and two national parks. Part of the structure stands in British Columbia's Yoho National Park and the other in Alberta's Banff National Park. "Snow melting on opposite sides of the hut will flow into two different oceans," the club says in its description of the unique facility. Parks Canada has been monitoring erosion at the site since 2016, Kolesch said, and major erosion appears to have begun in in 2017, when previously permanent snow and ice on the Alberta side of the pass receded. "That exposed some of the underlying rock and soil to the elements," he said. "And this is a very high alpine environment, so that steep and unconsolidated slope was more susceptible to thawing and surface-water erosion." Hurley hopes the erosion can be addressed so others can continue to visit the hut and soak in what she described as the awe-inspiring alpine environment in which it stands. "The actual hut is just incredible," she said. "I think it's amazing that there's a structure up there at all."